South America is made up of 20 countries, covers an area of 17.85 million square kilometers, and has an estimated combined population of 375 million people. It is ranked as the fifth largest populated region in the world and comes under Zone 5 of the World Numbering Plan. With such a diverse mix of people, languages and time zones, looking for a phone number, especially for non-Spanish speakers, might seem like a daunting task. Looking up phone numbers in South America begins by finding out which country you are dealing with. A good place to start is www.192.com. Their South America page will list each country in alphabetical order alongside a link to their national directory. By clicking through the relevant country link you will see either one or multiple options available for looking up a number in that particular country. 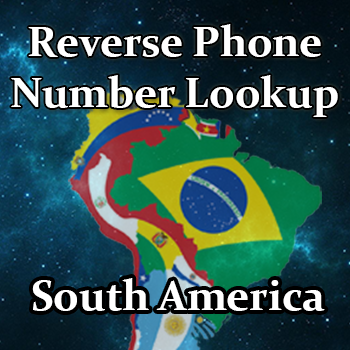 There are also a number of alternative ways to look up a number in South America. 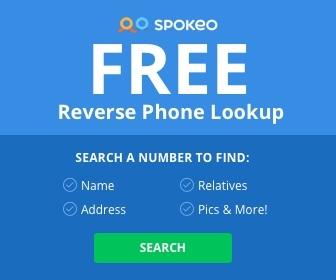 If this method didn’t help you, or you need to look through a list of our different methods, start first by reading this year’s list of reverse phone lookups that work – 2016 edition. From there, you can click on which method will work best for you.